Convert DWF files to SVG in batch! You must be an experienced user, if you know what DWG files are and what they are used for. In case you are not, then you might be interested to know more about them. DWG format is used for storing of 2 and 3 dimensional design data and metadata. DWG files can easily be viewed with specialized CAD software like AutoCAD, IntelliCAD, Caddie and many other programs that support CAD. The problem, however, is that they take too much hard drive space. If you want to have your graphic files at hand and yet to save as much space as possible, we recommend that you convert DWG to SVG. SVG formats stands for Scalable Vector Graphics. This an XML-based format that stores 2D graphic information, both, static and dynamic. Files saved in SVG format include various components, from text to animation and graphics. SVG files are less bulky than DWG ones. To successfully complete the conversion process, you might want to download DWG SVG converter. If you cannot find one, you can try DWG converter. 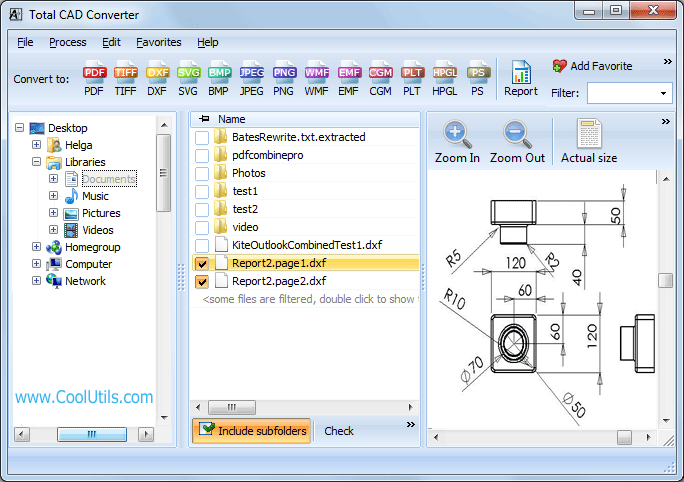 We, however, recommend that you try Total CAD Converter by CoolUtils. 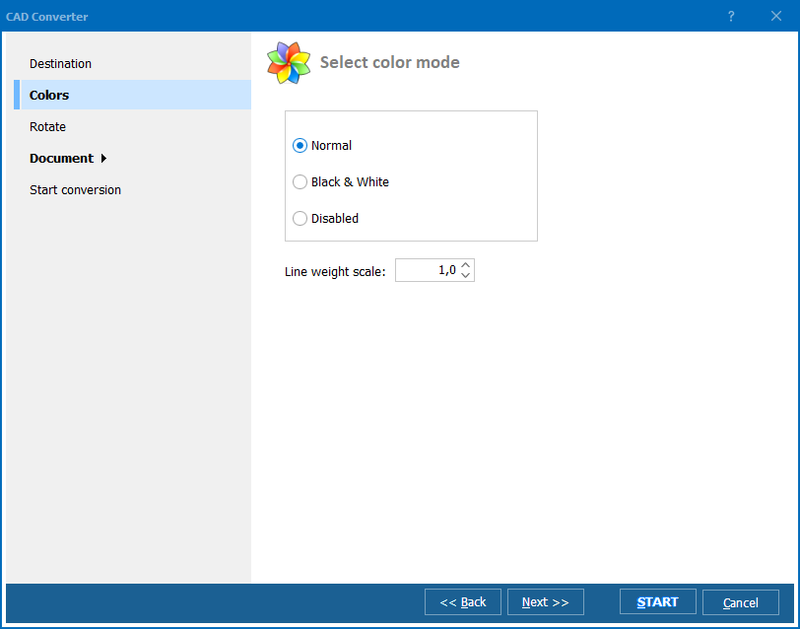 Unlike many other tools for conversion of DWG into SVG, this program is designed to integrate with Windows and process files in only a few clicks. 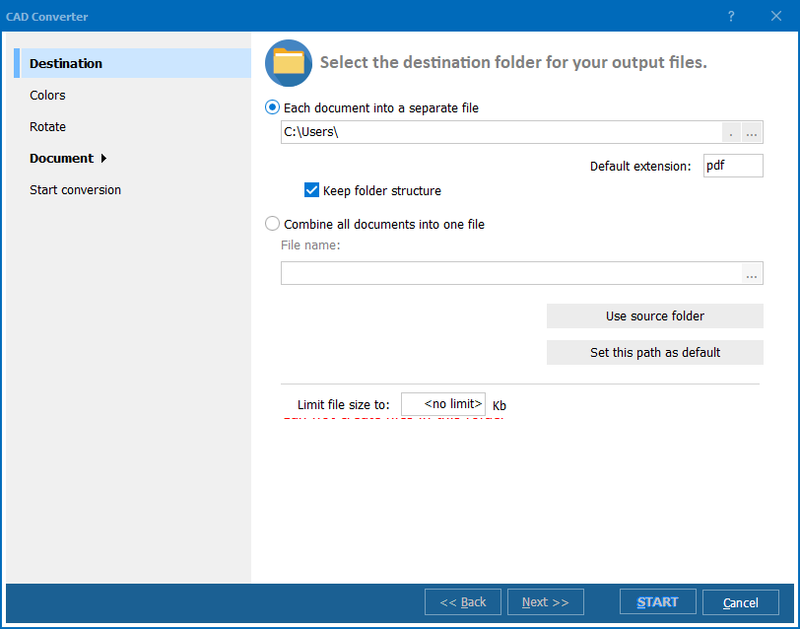 All you need to have your documents converted is download and install the CoolUtils converter. As you enable the Total CAD Converter and select the files and/or folders from the list, you have to choose SVG format and press the Start! button. If at one moment you decide you want your DWG files converted into format other than SVG, you can choose from PDF, TIFF, JPEG, BMP, WMF, PNG, DXF, BMP, CGM, and HP. The built-in wizard will help you easily complete the conversion process. Elsewise, you can refer to how-to articles and screenshots of the official website of CoolUtils. You can download your free trial version of Total CAD Converter now, buy the activation key or try free online CAD converter. 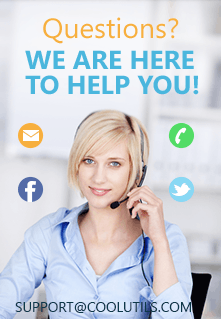 There is no obligation or hidden fees!